On the 07 August 2018 the Bishop of St Albans, the Rt Revd Dr Alan Smith received a written answer from Lord Bourne about planning policy in rural areas. On 29th November 2016, Lord Beecham asked Her Majesty’s Government, “further to the announcement in the Autumn Statement that they will invest £1.4 billion to deliver 40,000 affordable homes, how many affordable houses to rent they expect local authorities to build by 2020.” The Bishop of St Albans, the Rt Revd Alan Smith, asked a follow up question. 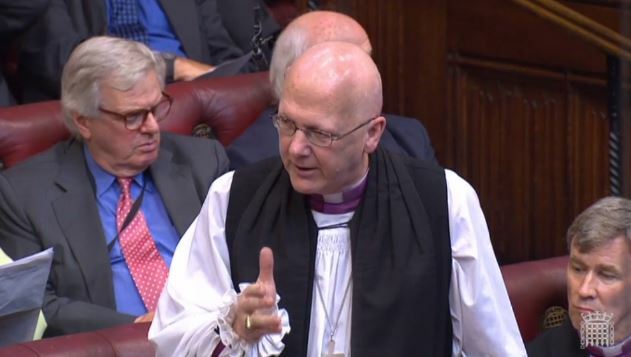 The Lord Bishop of St Albans My Lords, in the financial year 2015-16, the Government’s own statistics show that just 6,550 homes for social rent were completed. That is the lowest number since records began and far below the just under 40,000 completed in the years 2010-11. Would the Minister agree with me that whatever the value of other forms of affordable tenure, only social rented housing is going to deal with the problem faced by the most disadvantaged communities? Will he further tell the House what the Government are doing to address this rapid decline in the provision of this form of housing? On 11th October 2016, Baroness Bakewell of Hardington Mandeville asked the government “how they plan to improve the quality and affordability of housing in the United Kingdom”. The Bishop of Rochester, the Rt Revd James Langstaff, contributed to the debate. On 18th April 2016, the House of Lords debated an amendment to the Housing and Planning Bill that would mean victims of domestic violence who leave a secure social tenancy would be able to access a new secure tenancy, rather than the proposed short-term tenancies. The amendment had been tabled by Baroness Lister, with the support of the Bishop of St Albans, the Rt Revd Alan Smith. The Bishop of Peterborough, the Rt Revd Donald Allister spoke to the amendment on the Bishop of St Albans’ behalf. On the 13th April 2016 the Bishop of St Albans, the Rt Revd Alan Smith, tabled an amendment to the Housing and Planning Bill that would prevent Right to Buy from occuring in rural areas unless rural replacements were guaranteed. Baroness Evans of Park responded on behalf of the government. The amendment was later withdrawn.